Want to get your logo visible? Looking for a long-term way of getting your brand out there? Why not establish your company by getting it onto high streets across the UK and opt for a personalised and fully branded umbrella? Branded and personalised umbrellas are a great way to spread your message. Just imagine seeing your logo walking down high streets across the UK for years to come! 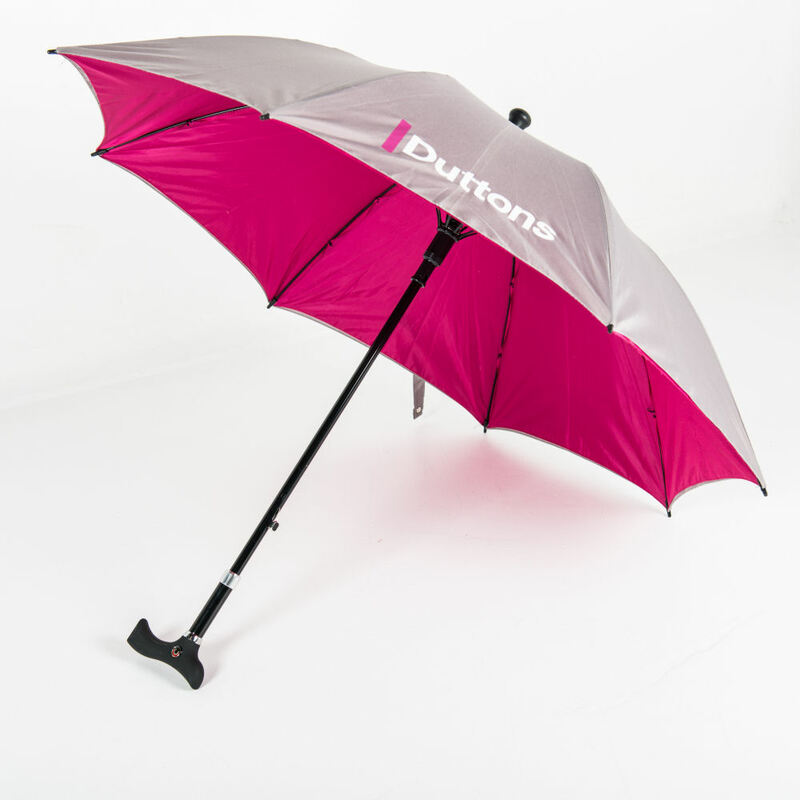 We like to think that a personalised, branded umbrella is a walking advertisement. Your brand bobbing across parks, down streets and around events all over the UK plastered across a super durable fully branded umbrella. And this is not just a 30 second TV advert or a poster campaign that lasts for a week. A branded umbrella lasts for months and months – a Brollies & Parasols umbrella, with their super strong fibreglass ribs, will last for years and years. Calculate the cost of getting your logo splashed across the high streets of Great Britain? For most companies this is an impossibility. A branded umbrella is a great way of achieving this but at a very low cost. So why else should you invest in a personalised and branded umbrella? They make ideal corporate gifts. If you are looking for something to give-away that is useful, won’t be thrown away, low-cost and is guaranteed to be used for every season, why not opt for a branded umbrella? Here in the UK there aren’t many things that everyone needs and that everyone uses regularly…but with our unpredictable (to put it kindly!) weather, the UK is the ideal place to invest in umbrellas! If you have an event coming up – whether it is an outside event or an event that involves getting people from one place to the other – then you have probably lay awake at night worrying about the weather. Cut out the stress and get prepared, order branded and personalised umbrellas so you can keep your attendees dry – and happy! Simply let them keep the umbrellas so they take them back to them to their locality and use them again and again. With Brollies & Parasols we offer exceptional quality with umbrellas that last so you are guaranteed to see them for years to come. Top of our list is quality – you’ve worked hard for your corporate branding and image, so we work hard to uphold this. We offer a wide range of umbrellas too so you can find an option to suit your budget and end purpose, something our experienced team can honestly and expertly advise you on. Plus we personalise and brand umbrellas in a simple 1-2-3-4 process which is stress free. We will design, brand and deliver your order to your full requirements so you end up with a fully customised and unique end product. Why not give us a call or drop us an email to find out more? ← Brollies & Parasols Blog Coming Soon….